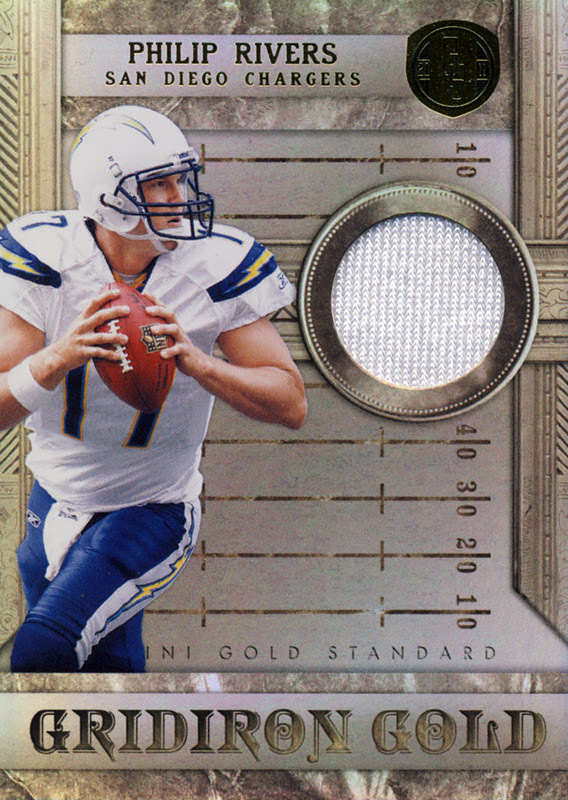 2011 Panini Gold Standard Football is the follow up release to the explosive debut of 2010-11 Gold Standard Basketball. There are some small, but significant changes. While the Basketball version seemed to yield golden nuggets with every box, for Football you will have to do a little more prospecting to uncover gold. 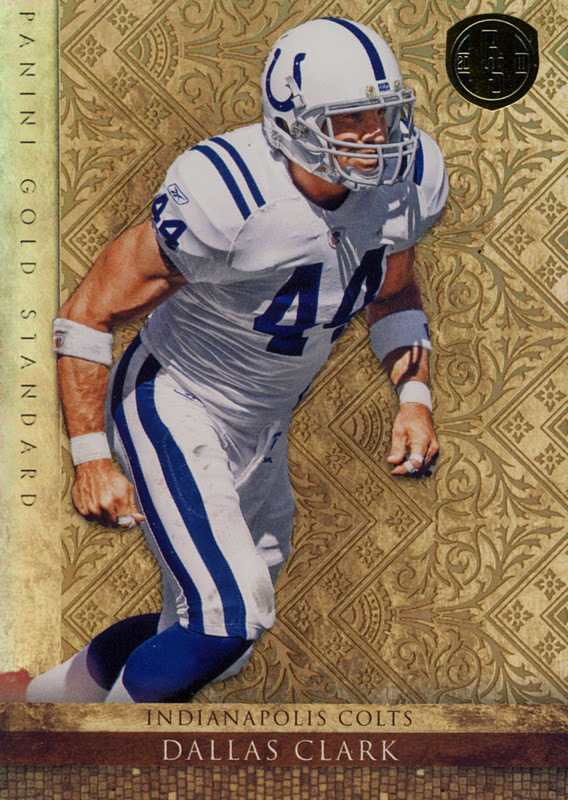 Gold Standard fits into our premium cards category. 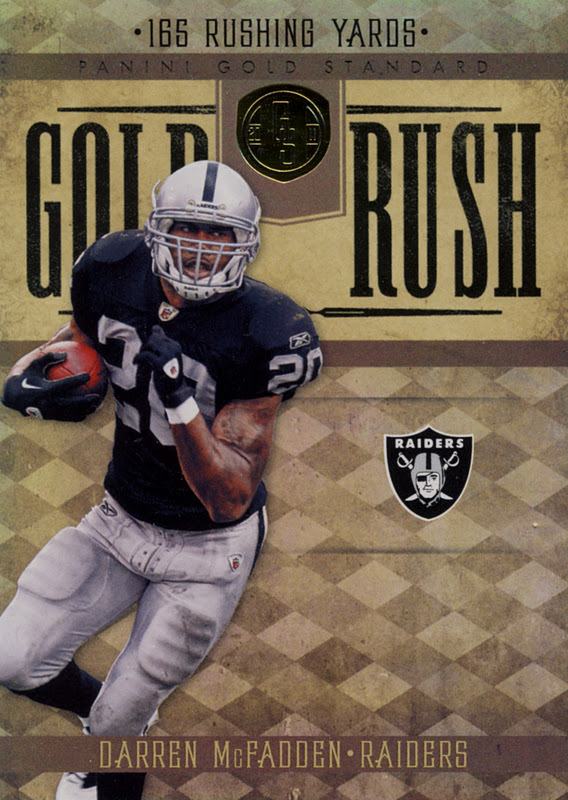 Each golden bar box contains 12 cards with 3 Autographs and 2 Memorabilia Cards. The gold bar box is still impressive, even the second time around. Every card is still tied into a golden theme. 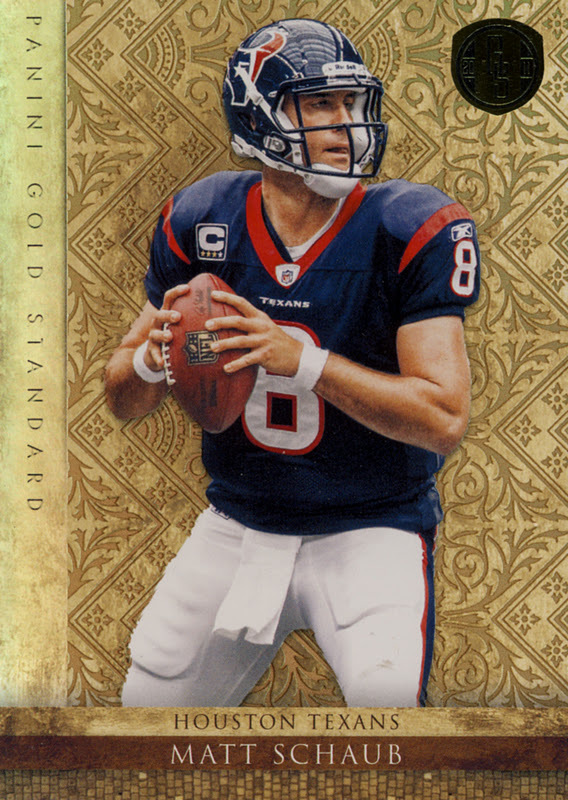 The cards for the most part still look great, but there is a significant change that comes with the design of the sticker auto cards. For Basketball the stickers where imbedded into the card, giving them a regal, crafted look that blended well with the golden background. 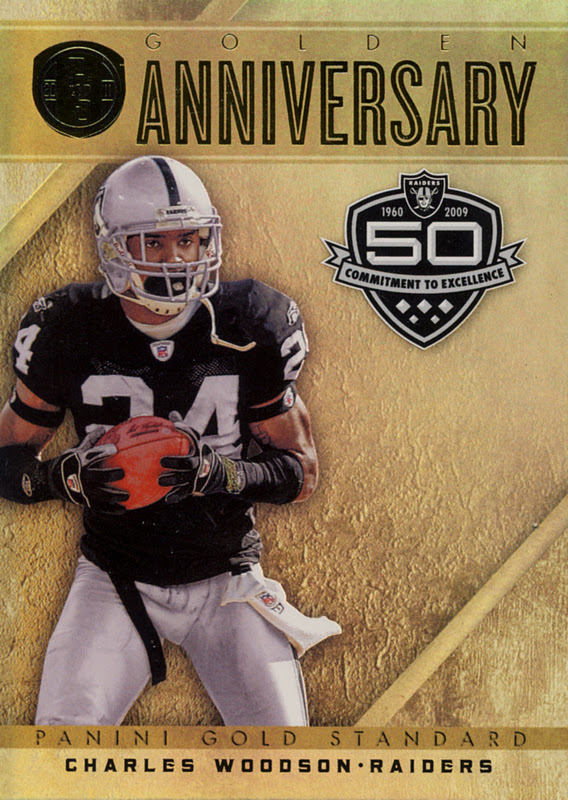 For Football, the stickers are simply placed on top of the card making them appear somewhat ordinary. 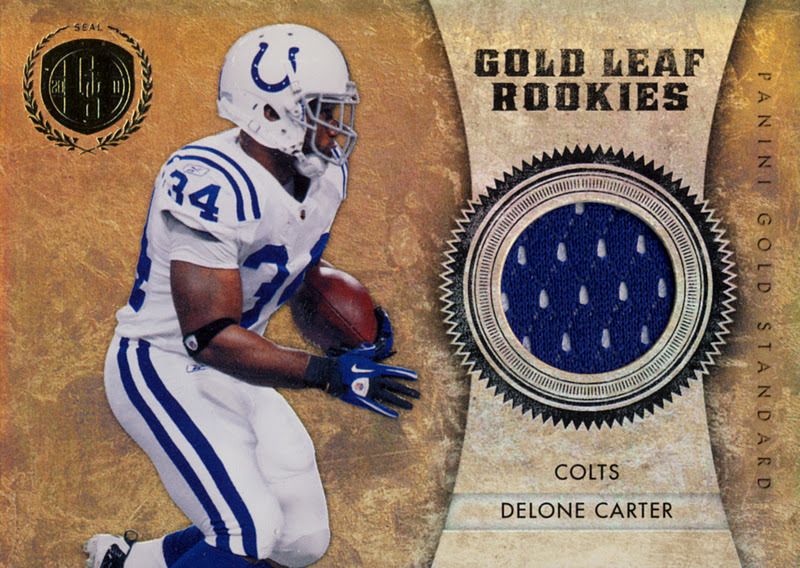 The RPS Gold Rookies, like our Clyde Gates, look fantastic when the paint pen signature comes out clean but as with any paint pen signature there are examples out there of splatters, smudges and streaking. In addition, we’ve seen examples where certain autographs have been done in black or blue sharpie over the black background rendering the signature barely visable. There are some amazing players to collect but the checklist feels very rookie heavy making this more of a prospecting product. 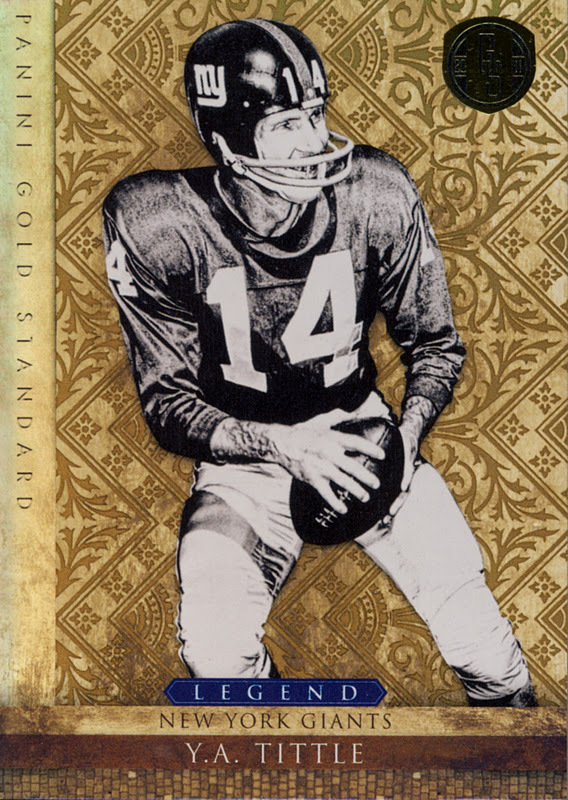 Pull one of the super rare cards with legends autos, veteran star players, maybe even gold or diamond embedded cards and you’re golden, but there are a few glitches in the system otherwise. 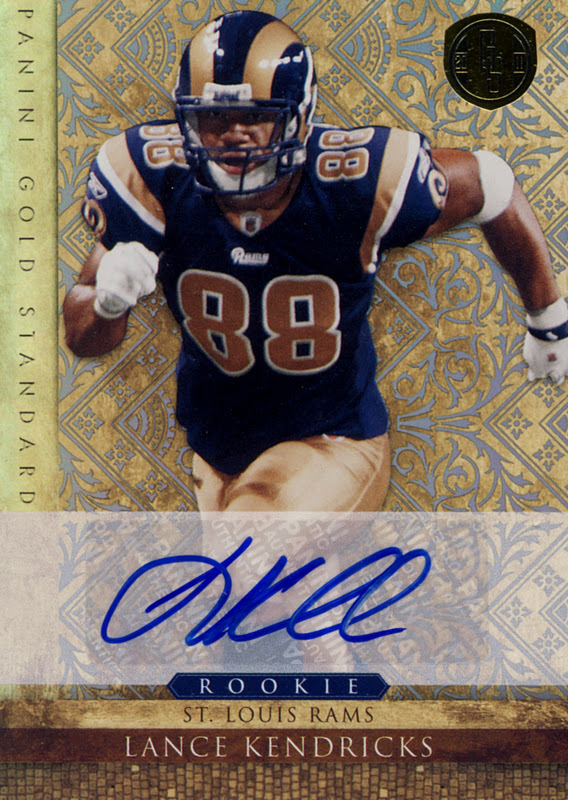 While the base cards are numbered to 299 most, 30 out of the 36, of the RPS Gold Rookies are numbered to 525 and regular rookie autos are numbered to 499. Needless to say, having hits that are higher numbered than the base cards is awkward. 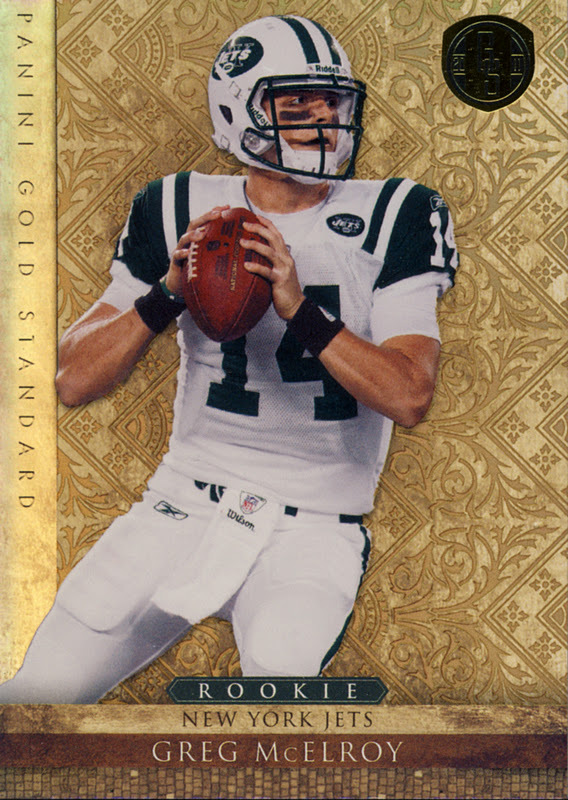 On the plus side, it increases you chances of pulling a card from the upper echelon of Rookies, even though the numbers for Newton, Green, Locker, Gabbert, Ponder, and Ingram drop down to 325. 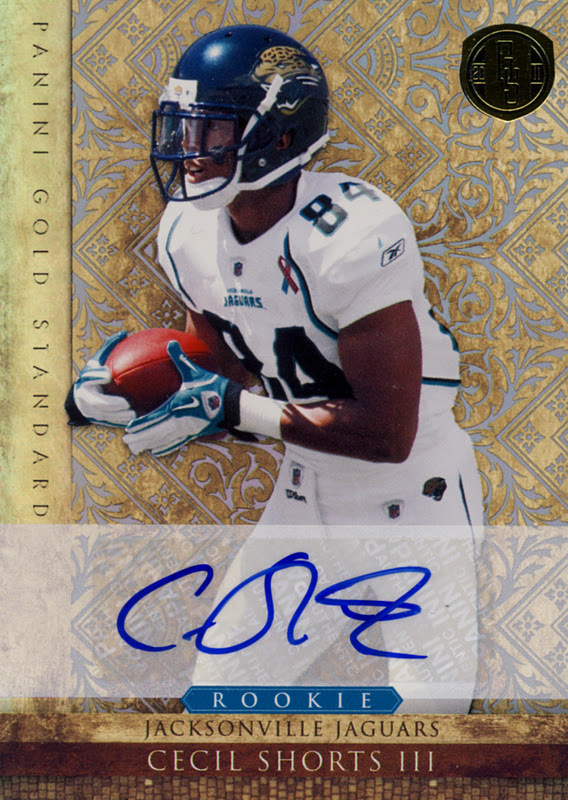 For those who are looking for a well-rounded chance of hitting established player autographs, this is worth a shot or two, but this will appeal more to rookie prospectors who will want to spread the high risk over a case of Gold Standard to increase their chances of a high reward. 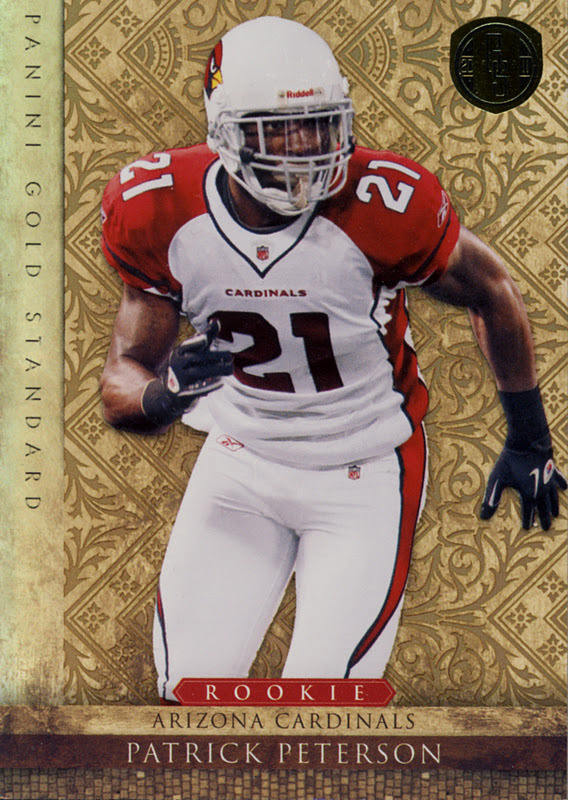 2011 Panini Gold Standard Football, when taken as a rookie-prospecting product, provides a fun break with the chance of hitting gold.